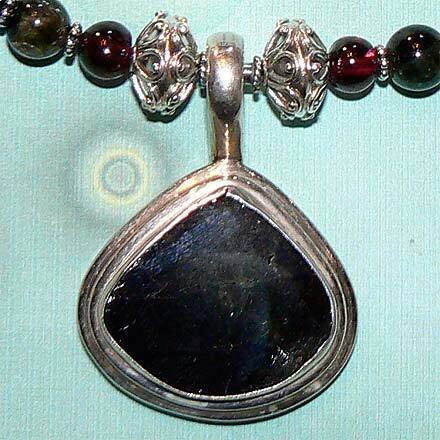 Sterling Silver Tourmaline Necklace. See Closeup. 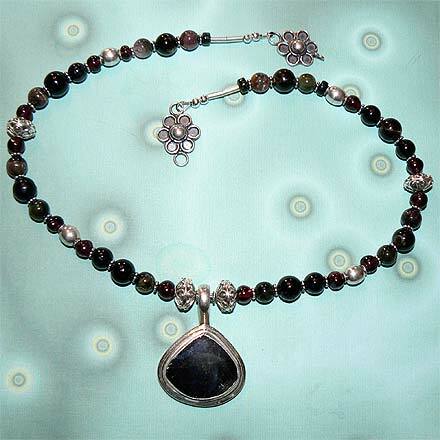 This jewelry set is made of the darkest Tourmaline...it almost looks black, but when viewing it up to the light, you can see transparent and translucent greens and dark pinks. 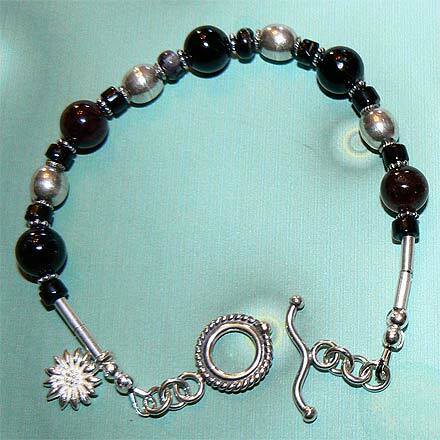 Some of the beads have a chatoyant sheen to them. Most unusual.